Ships tomorrow if you order in the next 19 hours 49 minutes. Auto Ship & Earn + 154 Points What's this? 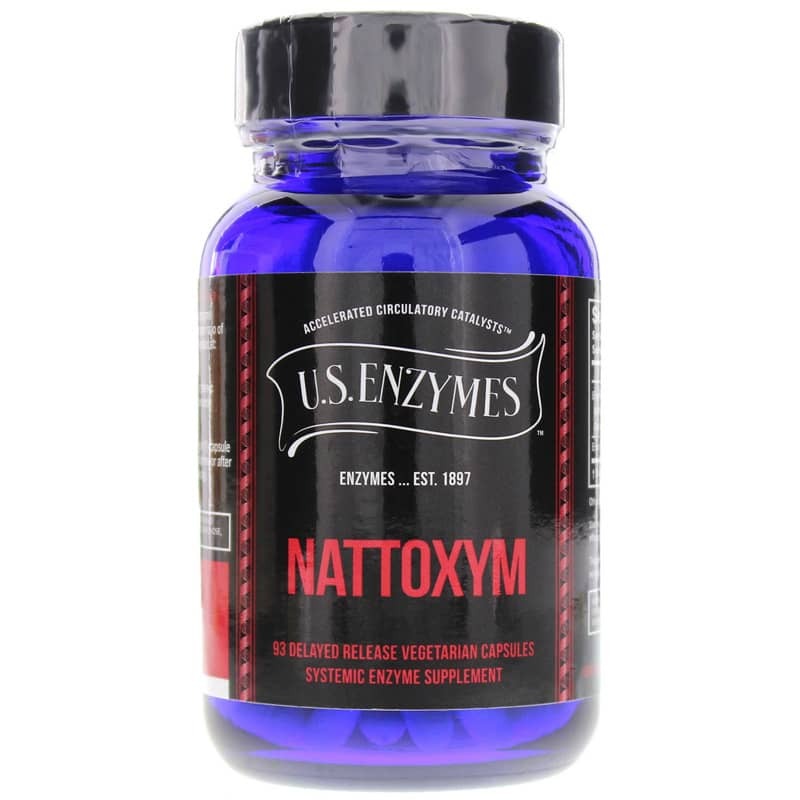 NATTOXYM from U.S. Enzymes contains a pure source of the nattokinase that offers accelerated support for circulation and cardiovascular health. 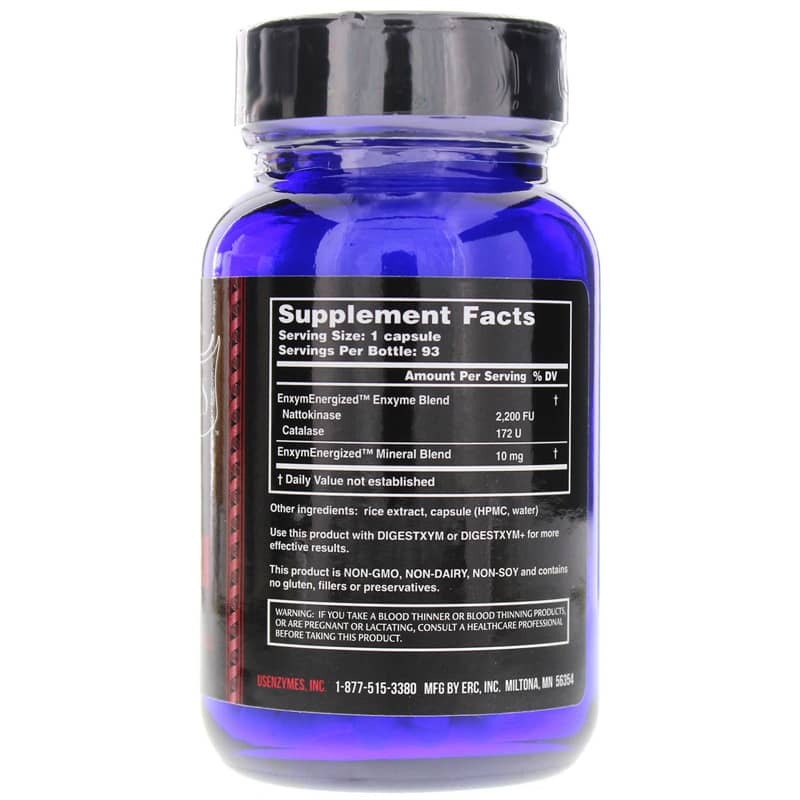 U.S. Enzymes utilizes the purest, highest potency enzyme concentrations and then combines them with the proper ratio of co-factors to create optimal bioavailability. Other Ingredients: rice extract, capsule (HPMC, water). Contains NO: GMOs, dairy, soy, gluten, fillers, artificial colors, flavors and preservatives. Adults: To obtain the maximum activity take one (1) capsule with a glass of water on an empty stomach (2 hours before or after meals). May be taken every eight hours (3 times a day). 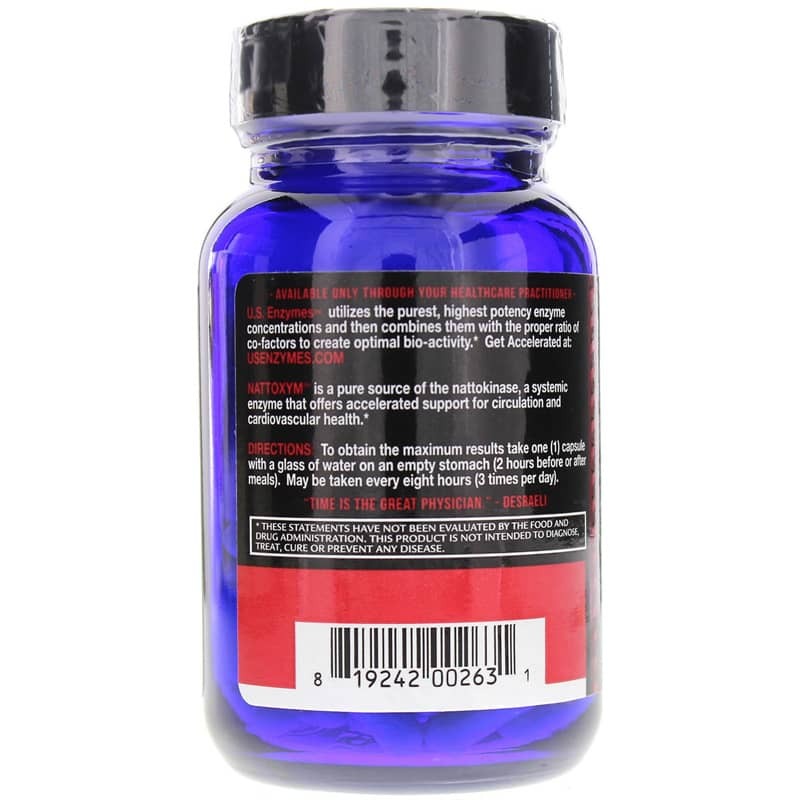 If you take a blood thinner or other blood thinning products, or are pregnant or lactating, consult a healthcare professional before taking this product. Keep out of the reach of children.